This listing is for one (1) brand new Stabilo All Pencil 12 pack - color is in listing title. 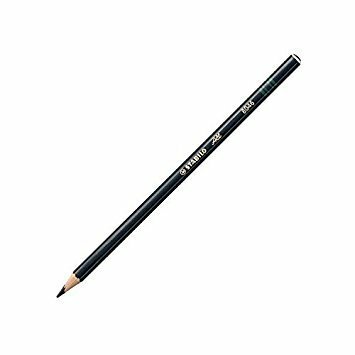 A water-soluble pencil that will mark clearly, densely and legibly on any surface including acetate, paper, glass, metal, photo and film. Wipes off with a damp cloth on smooth surfaces and erases on paper. If you have any questions about this product by Stabilo, contact us by completing and submitting the form below. If you are looking for a specif part number, please include it with your message.